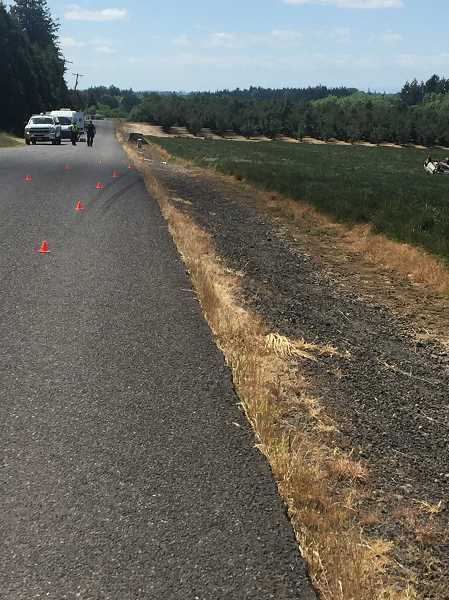 At approximately 12:49 p.m. on Monday, May 28, callers reported a single car traffic accident near the 12000 block of S. Dart Road in unincorporated Molalla. The Clackamas County Sheriff's Office responded along with the Molalla Police Department and the Molalla Fire District. Of the three passengers in the car, a 20-year-old woman from Michigan was pronounced dead at the scene, according to a CCSO press release. The other two victims, an 18-year-old male and 21-year-old male, both from Molalla, were rushed to Portland area hospitals where they are being treated for their injuries. The accident's cause is still under investigation, although initial reports indicate that speed may have been a factor, according to police. All three individuals have been identified but names are being withheld until all family notifications are complete. The CCSO reached out to the good Samaritans who stopped to deliver medical aid until the first responders arrived, per the press release. It also thanked both the Molalla police and fire departments for their response to the crash.